No. 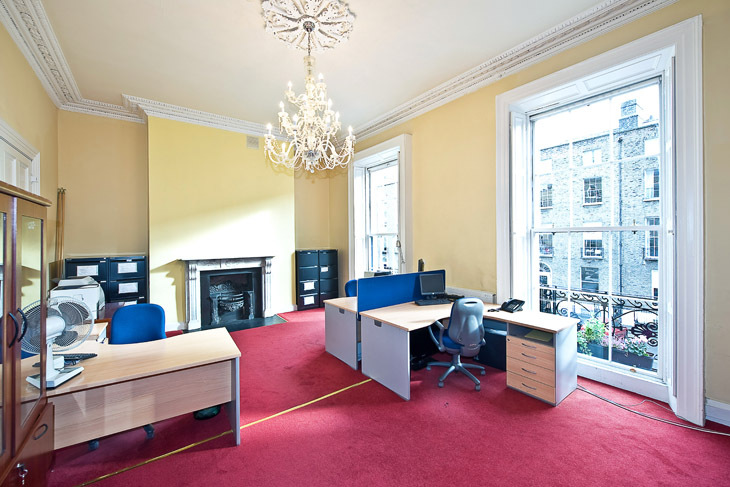 13 Fitzwilliam Street Upper is a fine 4 storey over basement period office building. This well presented headquarters extends to c. 353 sq.m. (3,800 sq.ft.) 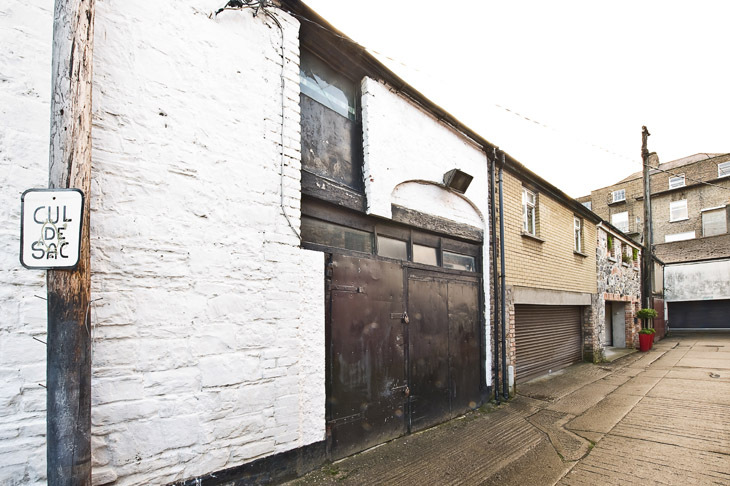 net internal area with a two storey mews situated to the rear (let on a long lease). The property has undergone extensive refurbishment and upgrading while still being presented in excellent decorative order retaining many original Georgian features including fireplaces and decorative plasterwork. 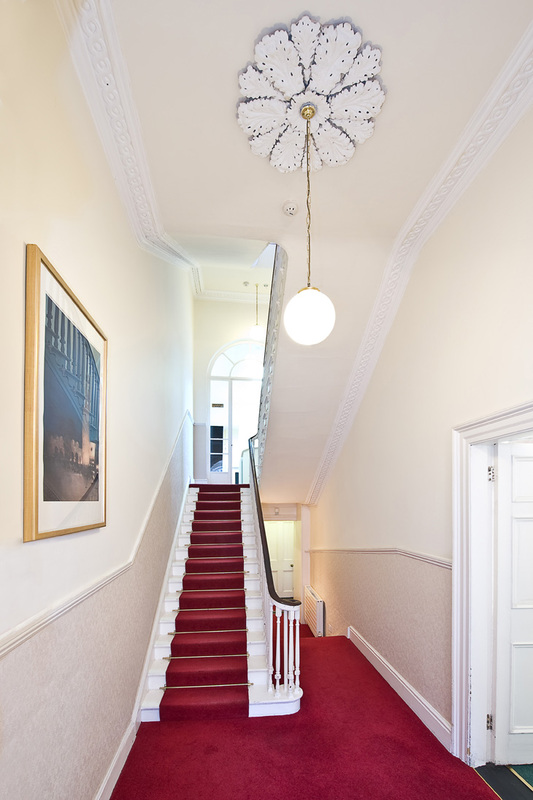 Services include CAT 5 Cabling throughout the main building, a new energy efficient gas fired heating system and intruder and fire alarm systems. 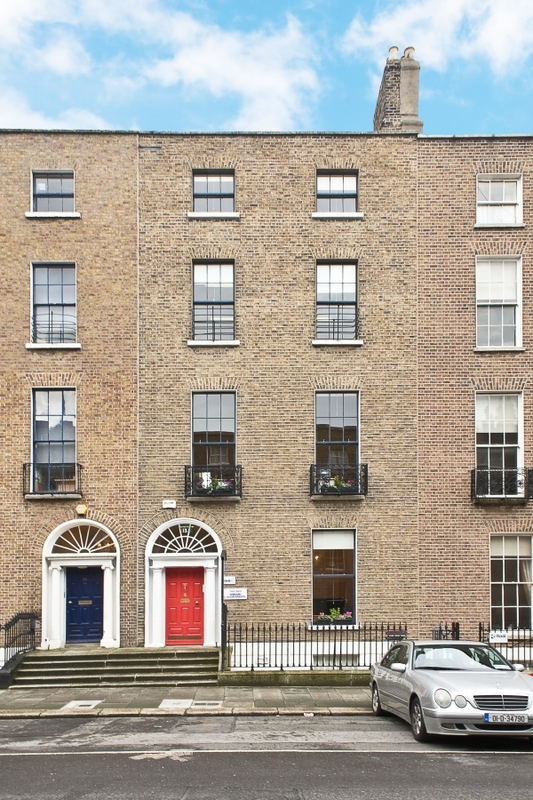 The property is located on the west side of Upper Fitzwilliam Street, midway between the junction of Fitzwilliam Square and Lower Baggot Street. 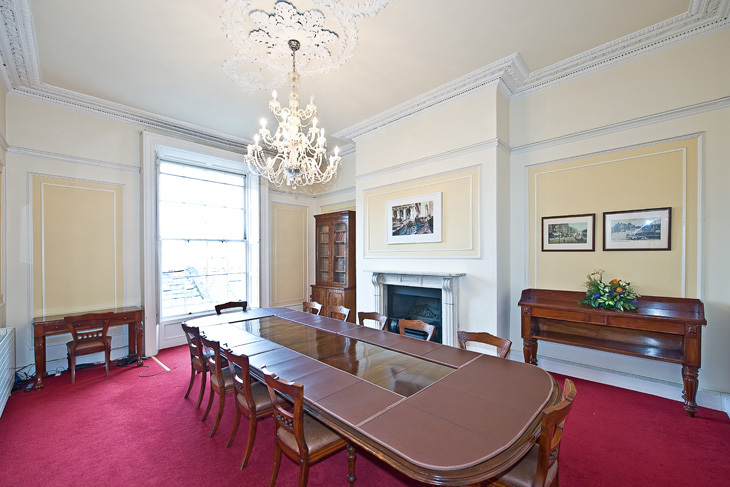 Fitzwilliam Street is in the heart of Dublin’s commercial, administrative and cultural centre close to St Stephen’s Green and Grafton Street. The area is well served by public transport with numerous bus routes, the Luas Green Line on St Stephen’s Green and DART and main line train services within 10 minutes at Pearse Street. A range of amenities are situated on the doorstep of this property including many fine restaurants, hotels and bar. Planning: The property has established office use in the main building and workshop / stores use in the Mews. The property could alternatively be converted to residential use (subject to planning). Zoning: The property is located in an area zoned Objective Z8 “To protect the existing architectural and civic design character, to allow only for limited expansion consistent with the conservation objective. To allow primarily residential and compatible office and instructional use” in the current Dublin City Development plan 2011 – 2017. The property is listed as a protected structure in the development. 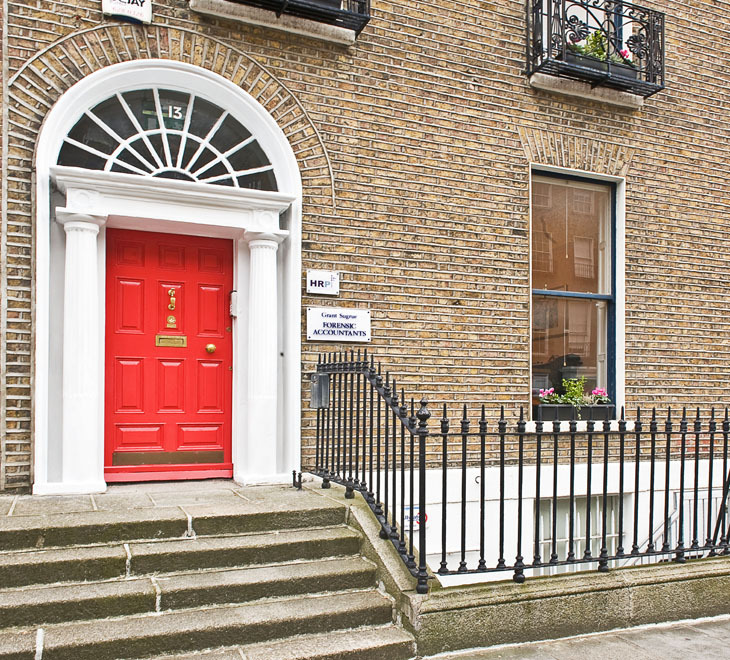 Tenancies: The Mews is let on a 35 year lease from 1st January 2002 at a rent of €10,000 p.a. with 5 yearly upward only reviews, next in 2017. Vacant possession available for front building. 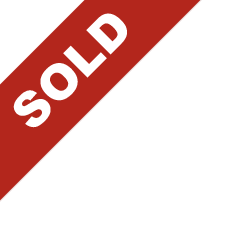 Capital Gains: If the property is purchased with contracts exchanged prior to 31st December 2014 and is held for at least 7 years the Capital Gains attributed to that 7 year period will be exempt from Capital Gains Tax (CGT). We recommend that any interested parties satisfy themselves in relation to taxation matters in relation to the property and seek advice of an Accountant or Tax Advisor.